Lets face it – we loved the 2 Face but it did have a few flaws and this looks like a great replacement. The problem I always had with the 2 Face is that they designed a harness to flip over and work for goofy and natural footers, so it was impossible to make a comfortable harness as it needed to work both ways and could therefore not be shaped to the body. The Warrior is the normal harness and it is a very comfortable harness. 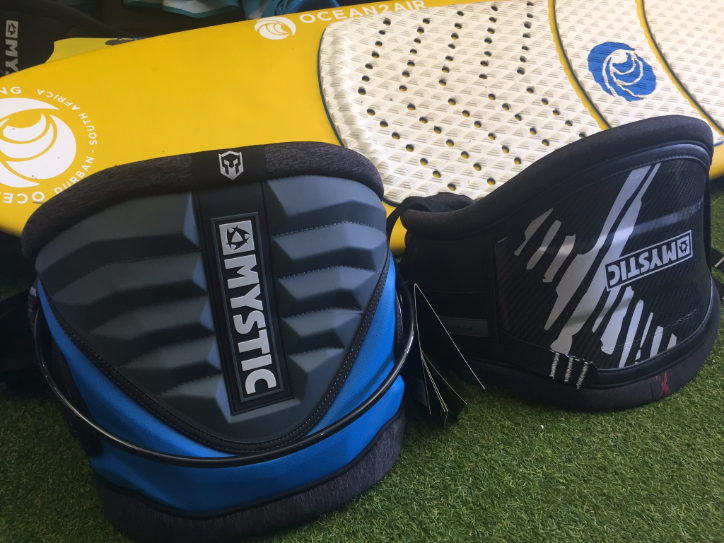 The Majestic has always been my go to harness but the Warrior is a very similar harness, just less bulky. So this will be a great harness to have as the Wave harness. They have been used a rope system which is very effective. The great thing here is that the rope can easily be replaced and so it is not a massive problem change it should there be wear. 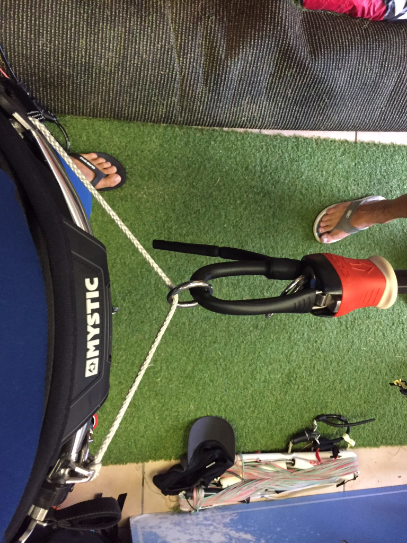 The disadvantage is that you need to disconnect your chicken loop to connect to the ring – which on one hand improves your connection but on the other hand it means that you cannot ride unhooked. The Majestic X is the next one up from the Warrior as it is the carbon version. What an amazing harness. Set to retail around R5599.00 this harness is worth it. Once you have ridden this you will understand why. 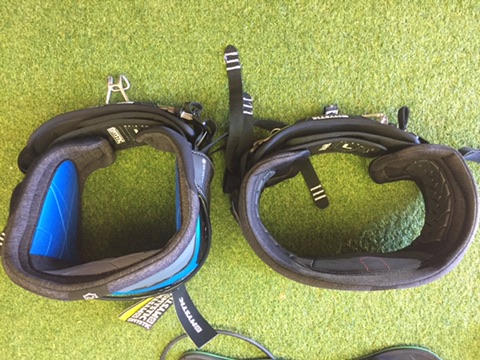 If you look at the photo taken of the harnesses from above you will notice the shape of the harness on the right (which is the Majestic X) is more oval than the one on the left. So it is flatter across the back and curves on the sides – so it is set to hug your body better. The fact that your harness no linger needs to slides means that the harness can be designed differently as it is now designed to not move. 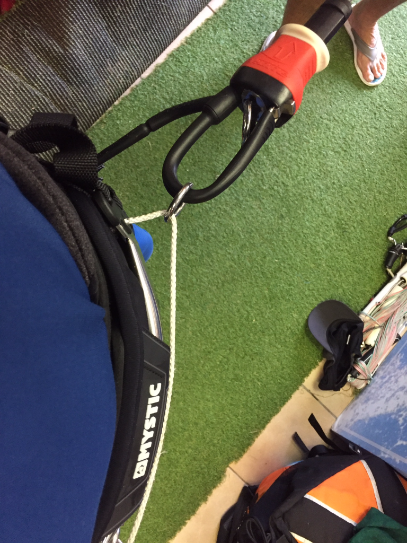 The fantastic part here is that the harness no longer moves but the spreader bar/ring now does which means that for those of you that always get chaffed when riding without a rash vest or wetsuit – this is the solution!! !